The Oakley brand is universally recognized and is synonymous with innovative, quality craftsmanship. Oakley is a leading name in sports eyewear because it offers athletes stylish eyewear that is made with cutting edge design and technology so that it not only looks good but can also withstand harsh environments and truly extreme conditions. Oakley has perfected sporty wrap sunglasses and shields and has modernized interpretations of other classic designs. The Oakley sunglass collection is offers a wide variety of frames in an exciting collection of frame colors and performance-driven lens shading. Due to manufacturer's restrictions, Oakley products can only be shipped to U.S., Canadian and Caribbean addresses. APO/FPO shipping is available. 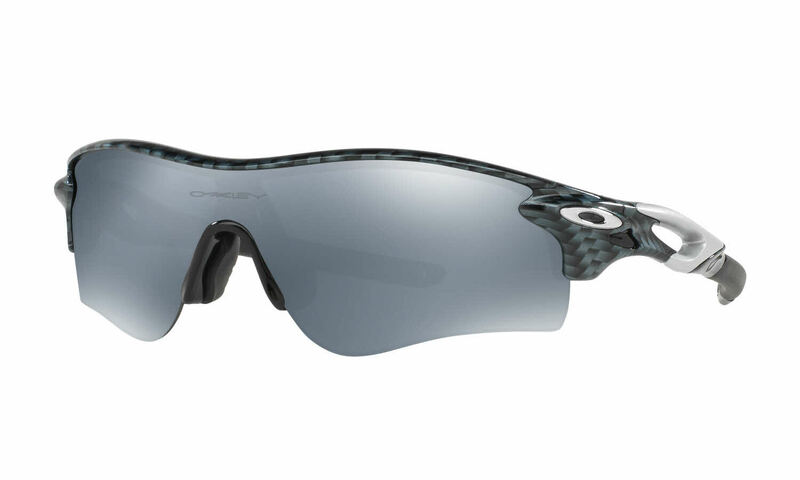 Oakley Alternate Fit Radarlock Path - Alternate Fit is a Semi-Rimless frame for Men and Women, which is made of O Matter. Oakley Alternate Fit Radarlock Path - Alternate Fit Sunglasses come with a cleaning cloth and protective carrying case.